Win an Apple Watch and 50,000 Virgin miles! 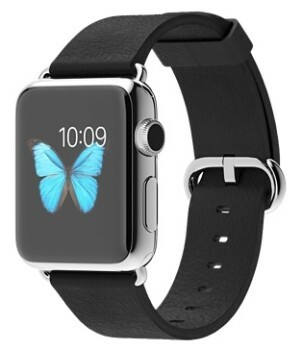 NEW HFP COMPETITION – Win an Apple Watch AND 50,000 Virgin Flying Club miles with Rocketmiles! Today I am launching a fantastic new competition which will run all week on Head for Points. In terms of being a ‘must win’ prize, I doubt I could have secured anything more exciting at the moment. One lucky Head for Points reader will, at midnight on Friday, win a brand new Apple Watch plus 50,000 Virgin Flying Club miles! With an Apple Watch selling for £479, and roughly 1p of value from each Virgin Atlantic mile, you are looking at a prize pot of £1,000! The sponsor of this generosity is hotel booking site Rocketmiles. It has just launched a new partnership with Virgin Flying Club and wants you to know all about it. Rocketmiles is a specialist hotel booking site which allows you to earn a substantial amount of airline miles with every room booking. The company has a deep inventory of rooms available across the world. Both cancellable and non-cancellable room are available (all bookings must be prepaid but cancellable rooms are fully refundable). Each booking earns you a generous amount of miles in your chosen airline programme. Whilst this competition focusses on promoting the new Rocketmiles partnership with Virgin Flying Club, they also work with 29 other airline programmes. As with any third party hotel booking, you will usually not earn any stay credit or points from the hotel stay where you stay. You may get your elite status recognised, depending on the hotel. This is, of course, offset by the generous amount of miles that Rocketmiles will deposit in your airline account after your stay! To promote their new partnership with Virgin Atlantic, Rocketmiles is offering 3,000 bonus Virgin Flying Club miles to new customers when they make their first booking. This is valid on any booking of any size. It is on top of the standard amount of Virgin Flying Club miles you will earn. This is clearly a very attractive deal – and if you book a cheap one night stay to trigger the miles, it will be an excellent deal! The terms and conditions of the ‘first booking bonus’ can be found here. You have until July 31st to make your booking and the stay can be for a date even further into the future. For clarity, you do not need to make a booking to enter the competition. How can I win the Apple Watch and 50,000 Virgin Flying Club miles?! It is very simple indeed. It really could not be easier. Enter your email address and that’s it! You’re entered! The full rules for the competition are here. Rocketmiles is responsible for fulfilling your prize. 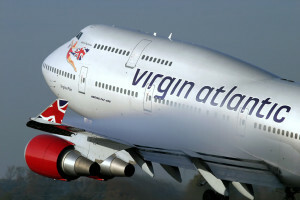 Neither Head for Points or Virgin Atlantic are responsible. Employees of Virgin Atlantic cannot enter (sorry Katie!). Good luck! The winner will be announced on Head for Points 7-10 days after the closing date and I will remind you again about the closing date before Friday. Hi Rob, do we know if a HFP “reader” won the prize? Memorial Day in the U.S. so they are not yet back at work!